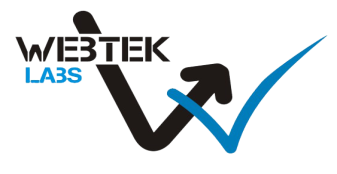 Jr. Java Trainer Walkin Between 11 am to 6 pm on 27th Feb to 3rd Mar @ WebTek Labs Pvt. Ltd. Currently we have 10 fulltime openings for Jr. Java Trainer/Faculty profile in our company. Fixed salary of Rs.12,000 will be provided to the candidate. Only Male candidates within the age limit of 30 years are eligible for this position and candidate should be ready to join immediately. Passout candidates of B.Tech and BCA batches of 2015, 2016and 2017 are eligible for this position. Interview Procedure: First there will be a technical written test round. After that there will be 2 face to face rounds of interview which can be conducted on the same day or on some other day.